You have initialized and run your first wolkenkit application! All in all, this was pretty easy because you were able to use a template. 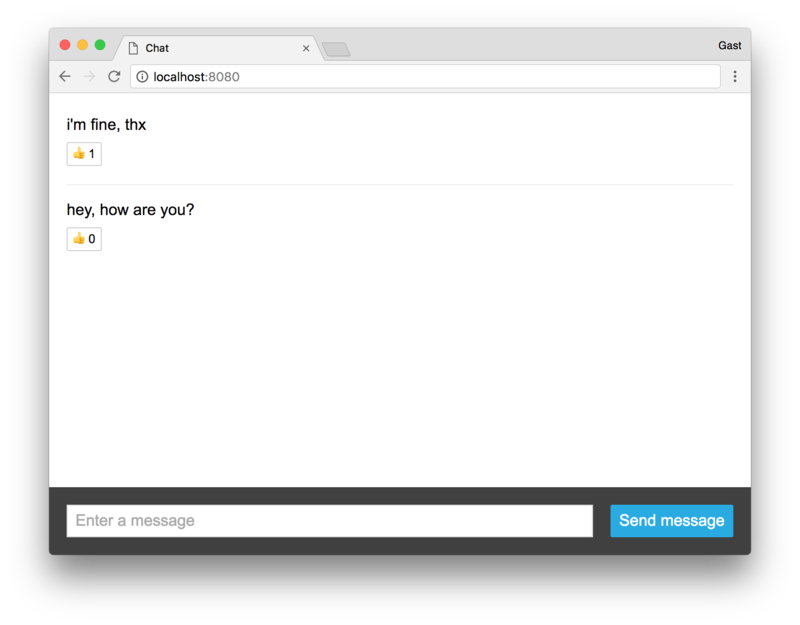 If you want to learn to build a chat by yourself, have a look at creating an application from scratch. For now, we wish you some happy chatting 😊!